From their humble and still obscure beginning during the early Jurassic period, the angiosperms—or flowering plants—have evolved to dominate most terrestrial ecosystems ((Figure)). With more than 300,000 species, the angiosperm phylum (Anthophyta) is second only to insects in terms of diversification. The success of angiosperms is due to two novel reproductive structures: flowers and fruits. The function of the flower is to ensure pollination, often by arthropods, as well as to protect a developing embryo. The colors and patterns on flowers offer specific signals to many pollinating insects or birds and bats that have coevolved with them. For example, some patterns are visible only in the ultraviolet range of light, which can be seen by arthropod pollinators. For some pollinators, flowers advertise themselves as a reliable source of nectar. Flower scent also helps to select its pollinators. Sweet scents tend to attract bees and butterflies and moths, but some flies and beetles might prefer scents that signal fermentation or putrefaction. Flowers also provide protection for the ovule and developing embryo inside a receptacle. The function of the fruit is seed protection and dispersal. Different fruit structures or tissues on fruit—such as sweet flesh, wings, parachutes, or spines that grab—reflect the dispersal strategies that help spread seeds. Flowers are modified leaves, or sporophylls, organized around a central receptacle. Although they vary greatly in appearance, virtually all flowers contain the same structures: sepals, petals, carpels, and stamens. The peduncle typically attaches the flower to the plant proper. A whorl of sepals (collectively called the calyx) is located at the base of the peduncle and encloses the unopened floral bud. Sepals are usually photosynthetic organs, although there are some exceptions. For example, the corolla in lilies and tulips consists of three sepals and three petals that look virtually identical. Petals, collectively the corolla, are located inside the whorl of sepals and may display vivid colors to attract pollinators. Sepals and petals together form the perianth. The sexual organs, the female gynoecium and male androecium are located at the center of the flower. Typically, the sepals, petals, and stamens are attached to the receptacle at the base of the gynoecium, but the gynoecium may also be located deeper in the receptacle, with the other floral structures attached above it. As illustrated in (Figure), the innermost part of a perfect flower is the gynoecium, the location in the flower where the eggs will form. The female reproductive unit consists of one or more carpels, each of which has a stigma, style, and ovary. The stigma is the location where the pollen is deposited either by wind or a pollinating arthropod. The sticky surface of the stigma traps pollen grains, and the style is a connecting structure through which the pollen tube will grow to reach the ovary. The ovary houses one or more ovules, each of which will ultimately develop into a seed. Flower structure is very diverse, and carpels may be singular, multiple, or fused. (Multiple fused carpels comprise a pistil.) The androecium, or male reproductive region is composed of multiple stamens surrounding the central carpel. Stamens are composed of a thin stalk called a filament and a sac-like structure called the anther. The filament supports the anther, where the microspores are produced by meiosis and develop into haploid pollen grains, or male gametophytes. The adult or sporophyte phase is the main phase of an angiosperm’s life cycle ((Figure)). 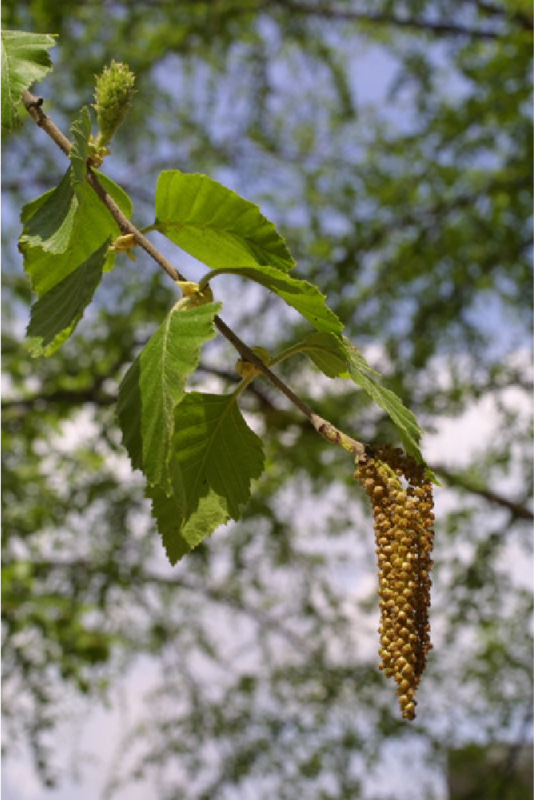 Like gymnosperms, angiosperms are heterosporous. Therefore, they produce microspores, which will generate pollen grains as the male gametophytes, and megaspores, which will form an ovule that contains female gametophytes. 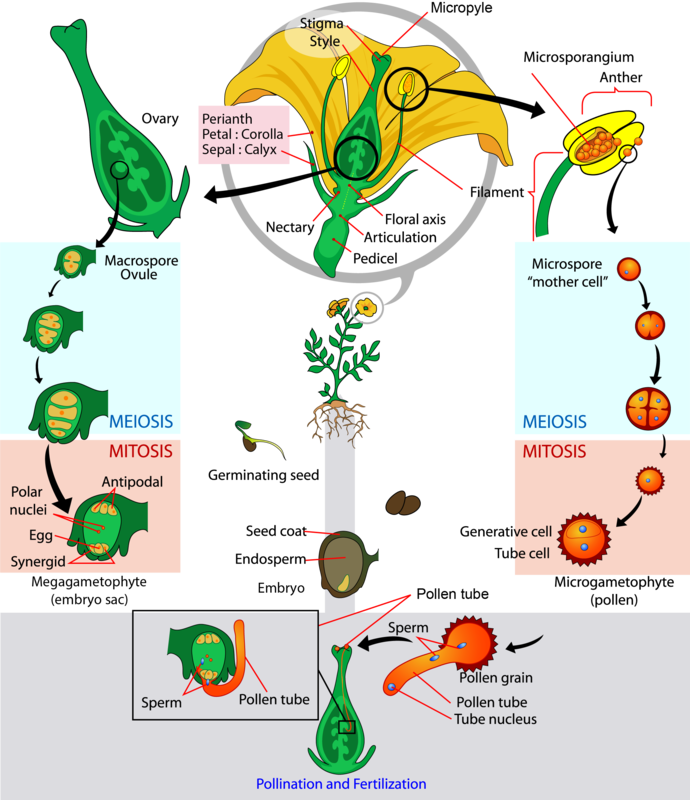 Inside the anther’s microsporangia, male sporocytes divide by meiosis to generate haploid microspores, which, in turn, undergo mitosis and give rise to pollen grains. Each pollen grain contains two cells: one generative cell that will divide into two sperm and a second cell that will become the pollen tube cell. Question: If a flower lacked a megasporangium, what type of gamete would not form? If the flower lacked a microsporangium, what type of gamete would not form? The ovule, sheltered within the ovary of the carpel, contains the megasporangium protected by two layers of integuments and the ovary wall. Within each megasporangium, a diploid megasporocyte undergoes meiosis, generating four haploid megaspores—three small and one large. Only the large megaspore survives; it divides mitotically three times to produce eight nuclei distributed among the seven cells of the female gametophyte or embryo sac. Three of these cells are located at each pole of the embryo sac. The three cells at one pole become the egg and two synergids. The three cells at the opposite pole become antipodal cells. The center cell contains the remaining two nuclei (polar nuclei). This cell will eventually produce the endosperm of the seed. The mature embryo sac then contains one egg cell, two synergids or “helper” cells, three antipodal cells (which eventually degenerate), and a central cell with two polar nuclei. 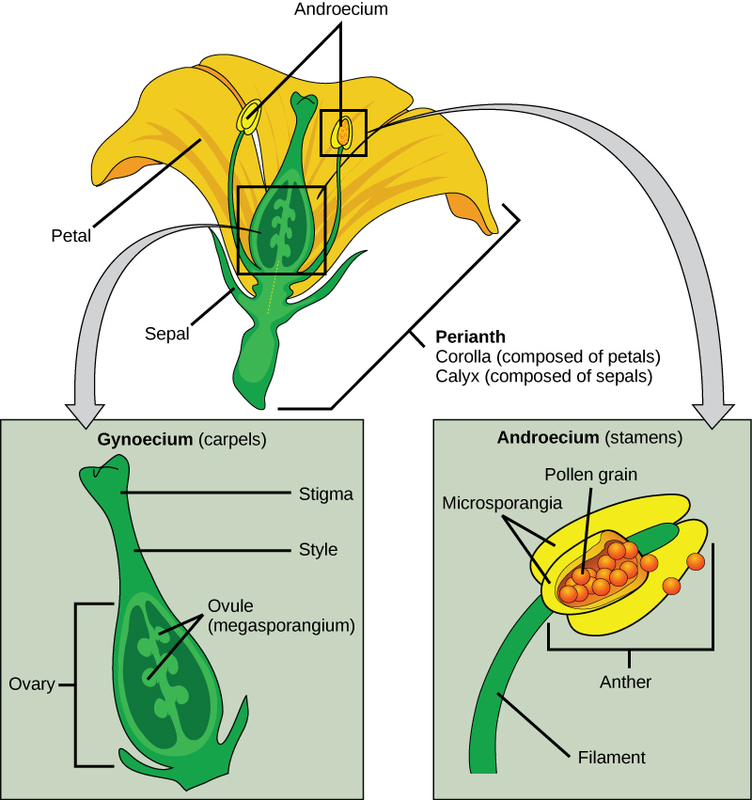 When a pollen grain reaches the stigma, a pollen tube extends from the grain, grows down the style, and enters through the micropyle: an opening in the integuments of the ovule. The two sperm are deposited in the embryo sac. A double fertilization event then occurs. One sperm and the egg combine, forming a diploid zygote—the future embryo. The other sperm fuses with the polar nuclei, forming a triploid cell that will develop into the endosperm—the tissue that serves as a food reserve for the developing embryo. The zygote develops into an embryo with a radicle, or small root, and one (monocot) or two (dicot) leaf-like organs called cotyledons. This difference in the number of embryonic leaves is the basis for the two major groups of angiosperms: the monocots and the eudicots. Seed food reserves are stored outside the embryo, in the form of complex carbohydrates, lipids, or proteins. The cotyledons serve as conduits to transmit the broken-down food reserves from their storage site inside the seed to the developing embryo. The seed consists of a toughened layer of integuments forming the coat, the endosperm with food reserves, and at the center, the well-protected embryo. Most angiosperms have perfect flowers, which means that each flower carries both stamens and carpels ((Figure)). In monoecious plants, male (staminate) and female (pistillate) flowers are separate, but carried on the same plant. Sweetgums (Liquidambar spp.) and beeches (Betula spp. are monoecious ((Figure)). In dioecious plants, male and female flowers are found on separate plants. Willows (Salix spp.) and poplars (Populus spp.) are dioecious. In spite of the predominance of perfect flowers, only a few species of angiosperms self-pollinate. Both anatomical and environmental barriers promote cross-pollination mediated by a physical agent (wind or water), or an animal, such as an insect or bird. Cross-pollination increases genetic diversity in a species. As the seed develops, the walls of the ovary thicken and form the fruit. The seed forms in an ovary, which also enlarges as the seeds grow. Many foods commonly called vegetables are actually fruits. Eggplants, zucchini, string beans, tomatoes, and bell peppers are all technically fruits because they contain seeds and are derived from the thick ovary tissue. Acorns are true nuts, and winged maple “helicopter seeds” or whirligigs (whose botanical name is samara) are also fruits. Botanists classify fruit into more than two dozen different categories, only a few of which are actually fleshy and sweet. Mature fruit can be fleshy or dry. Fleshy fruit include the familiar berries, peaches, apples, grapes, and tomatoes. Rice, wheat, and nuts are examples of dry fruit. Another subtle distinction is that not all fruits are derived from just the ovary. For instance, strawberries are derived from the ovary as well as the receptacle, and apples are formed from the ovary and the pericarp, or hypanthium. Some fruits are derived from separate ovaries in a single flower, such as the raspberry. Other fruits, such as the pineapple, form from clusters of flowers. Additionally, some fruits, like watermelon and orange, have rinds. Regardless of how they are formed, fruits are an agent of seed dispersal. The variety of shapes and characteristics reflect the mode of dispersal. Wind carries the light dry fruits of trees and dandelions. Water transports floating coconuts. Some fruits attract herbivores with their color or scent, or as food. Once eaten, tough, undigested seeds are dispersed through the herbivore’s feces (endozoochory). Other fruits have burrs and hooks to cling to fur and hitch rides on animals (epizoochory). Angiosperms are classified in a single phylum: the Anthophyta. Modern angiosperms appear to be a monophyletic group, which as you may recall means that they originated from a single ancestor. Within the angiosperms are three major groups: basal angiosperms, monocots, and dicots. Basal angiosperms are a group of plants that are believed to have branched off before the separation of the monocots and eudicots, because they exhibit traits from both groups. They are categorized separately in most classification schemes. 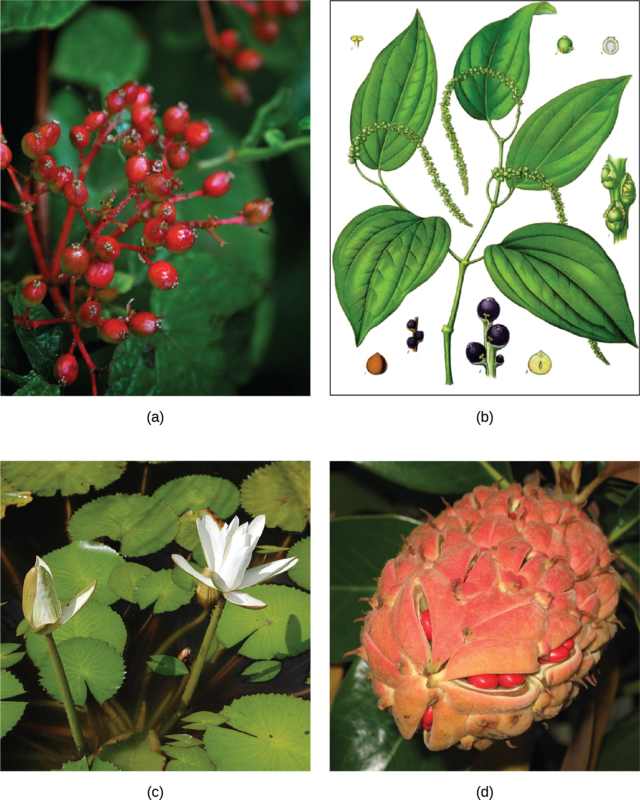 The basal angiosperms include Amborella, water lilies, the Magnoliids (magnolia trees, laurels, and spice peppers), and a group called the Austrobaileyales, which includes the star anise. The monocots and dicots are differentiated on the basis of the structure of the cotyledons, pollen grains, and other structures. 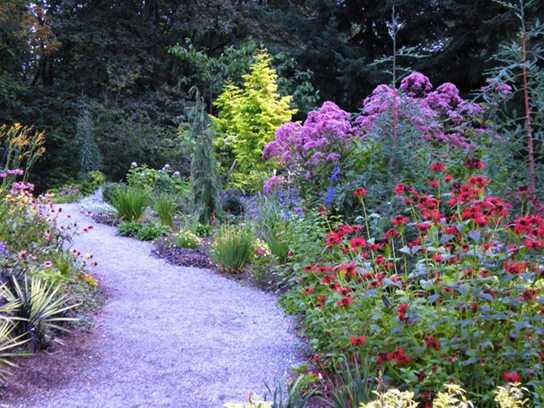 Monocots include grasses and lilies, and the dicots form a multi-branched group that includes (among many others) roses, cabbages, sunflowers, and mints. 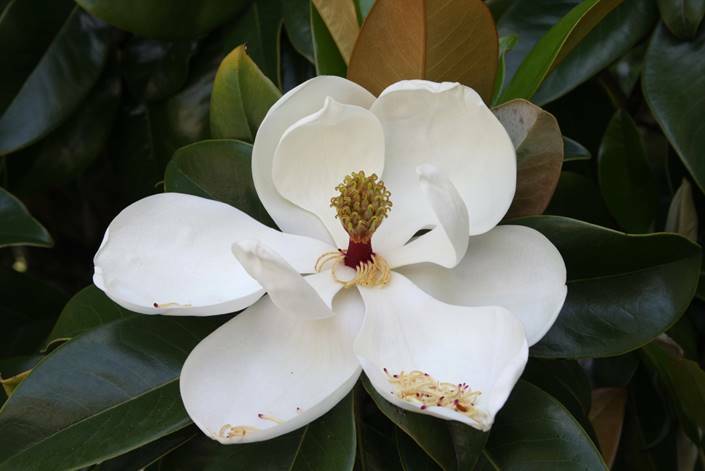 The Magnoliidae are represented by the magnolias, laurels, and peppers. Magnolias are tall trees bearing dark, shiny leaves, and large, fragrant flowers with many parts, and are considered archaic ((Figure)). In the outer whorl of the magnolia flower the sepals and petals are undifferentiated and are collectively called tepals. The reproductive parts are arranged in a spiral around a cone-shaped receptacle, with the carpels located above the stamens ((Figure)). The aggregate fruit, with one seed formed from each carpel, is seen in (Figure)d. Laurel trees produce fragrant leaves and small, inconspicuous flowers. The Laurales grow mostly in warmer climates and are small trees and shrubs. Familiar plants in this group include the bay laurel, cinnamon, spice bush ((Figure)a), and avocado tree. Basal angiosperms. The (a) common spicebush belongs to the Laurales, the same family as cinnamon and bay laurel. The fruit of (b) the Piper nigrum plant is black pepper, the main product that was traded along spice routes. Notice the small, unobtrusive, clustered flowers. The leaf venation resembles that of both the monocots (parallel) and the dicots (branched). (c) Water lilies, Nymphaea lotus. Although the leaves of the plant float on the surface of the water, their roots are in the underlying soil at the bottom of the lake. The aggregate fruit of a magnolia (d). The fruit is in its final stage, with its red seeds just starting to appear. (credit a: modification of work by Cory Zanker; credit b: modification of work by Franz Eugen Köhler; credit c: modification of work by Rl/Wikimedia Commons. d: modification of work by “Coastside2″/Wikimedia Commons). Plants in the monocot group are primarily identified by the presence of a single cotyledon in the seedling. Other anatomical features shared by monocots include veins that run parallel to and along the length of the leaves, and flower parts that are arranged in a three- or six-fold symmetry. True woody tissue is rarely found in monocots. In palm trees, vascular and parenchyma tissues produced by the primary and secondary thickening meristems form the trunk. The pollen from the first angiosperms was likely monosulcate, containing a single furrow or pore through the outer layer. This feature is still seen in the modern monocots. Vascular tissue of the stem is scattered, not arranged in any particular pattern, but is organized in a ring in the roots. The root system consists of multiple fibrous roots, with no major tap root. Adventitious roots often emerge from the stem or leaves. The monocots include familiar plants such as the true lilies (Liliopsida), orchids, yucca, asparagus, grasses, and palms. 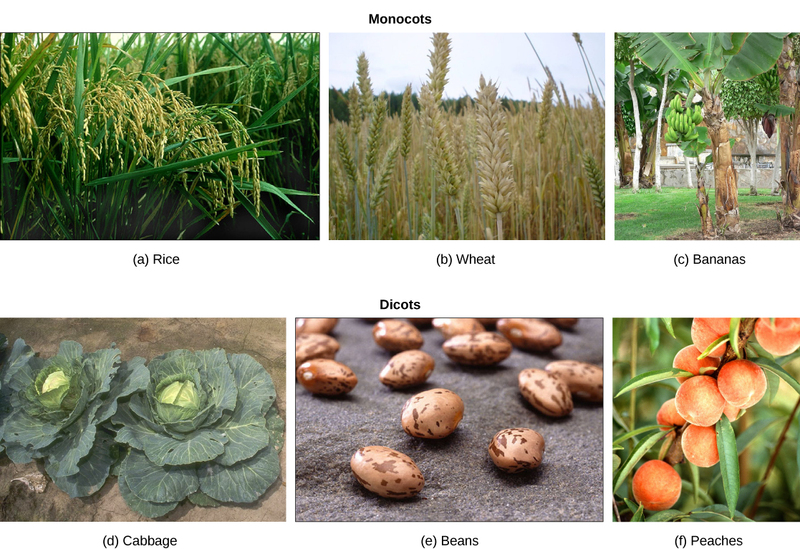 Many important crops are monocots, such as rice and other cereals, corn, sugar cane, and tropical fruits like bananas and pineapples ((Figure)a,b,c). Eudicots, or true dicots, are characterized by the presence of two cotyledons in the developing shoot. Veins form a network in leaves, and flower parts come in four, five, or many whorls. Vascular tissue forms a ring in the stem; in monocots, vascular tissue is scattered in the stem. Eudicots can be herbaceous (not woody), or produce woody tissues. Most eudicots produce pollen that is trisulcate or triporate, with three furrows or pores. The root system is usually anchored by one main root developed from the embryonic radicle. Eudicots comprise two-thirds of all flowering plants. The major differences between monocots and eudicots are summarized in (Figure). However, some species may exhibit characteristics usually associated with the other group, so identification of a plant as a monocot or a eudicot is not always straightforward. Angiosperms are the dominant form of plant life in most terrestrial ecosystems, comprising about 90 percent of all plant species. Most crops and ornamental plants are angiosperms. Their success comes from two innovative structures that protect reproduction from variability in the environment: the flower and the fruit. Flowers were derived from modified leaves; their color and fragrance encourages species-specific pollination. The main parts of a flower are the sepals and petals, which protect the reproductive parts: the stamens and the carpels. The stamens produce the male gametes in pollen grains. The carpels contain the female gametes (the eggs inside the ovules), which are within the ovary of a carpel. The walls of the ovary thicken after fertilization, ripening into fruit that ensures dispersal by wind, water, or animals. The angiosperm life cycle is dominated by the sporophyte stage. Double fertilization is an event unique to angiosperms. One sperm in the pollen fertilizes the egg, forming a diploid zygote, while the other combines with the two polar nuclei, forming a triploid cell that develops into a food storage tissue called the endosperm. Flowering plants are divided into two main groups, the monocots and eudicots, according to the number of cotyledons in the seedlings. Basal angiosperms belong to an older lineage than monocots and eudicots. (Figure) If a flower lacked a megasporangium, what type of gamete would not form? If the flower lacked a microsporangium, what type of gamete would not form? (Figure) Without a megasporangium, an egg would not form; without a microsporangium, pollen would not form. Which of the following structures in a flower is not directly involved in reproduction? In the course of double fertilization, one sperm cell fuses with the egg and the second one fuses with ________. Some cycads are considered endangered species and their trade is severely restricted. Customs officials stop suspected smugglers who claim that the plants in their possession are palm trees, not cycads. How would a botanist distinguish between the two types of plants? The resemblance between cycads and palm trees is only superficial. Cycads are gymnosperms and do not bear flowers or fruit. Cycads produce cones: large, female cones that produce naked seeds, and smaller male cones on separate plants. Palms do not. Angiosperms by OpenStax Biology 2nd Edition is licensed under a Creative Commons Attribution 4.0 International License, except where otherwise noted.